Sleek and striking, Rio Open-Cut Callas are ideal for line emphasizing techniques and can be woven into interesting designs that make for drama and excitement. 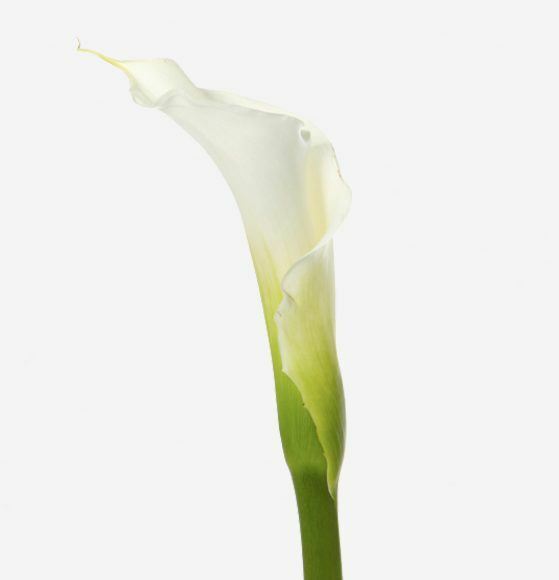 The Calla is a classic with a timeless simplicity. It’s durability and lasting quality make it a terrific flower for design work. 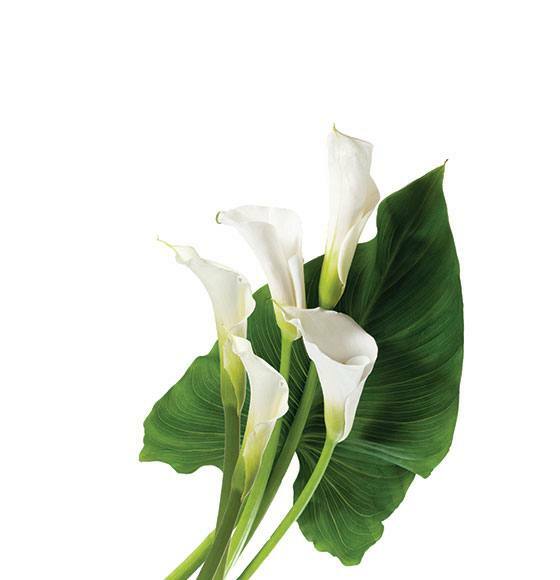 Rio offers five stem Calla Lily Bouquets with five long stems of our super select white calla. Each bouquet includes five open-cut blooms and an additional stem of a calla lily leaf. The bouquet comes in a crisp clear sleeve which gives it a great presentation. while preparing and arranging them, as callas are prone to bruising.